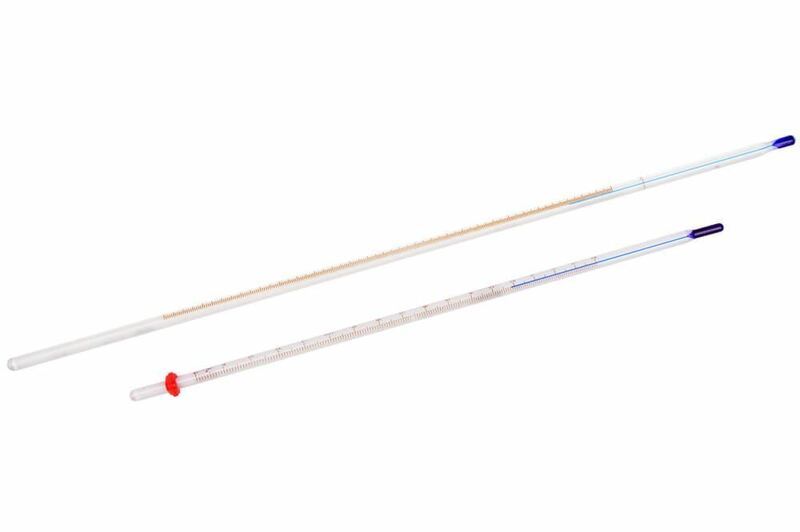 Non-Mercury Glass Thermometer, -30°— 120°F - Gilson Co.
Non-Mercury Glass Thermometer, -30°—120°F with 2° divisions is 12in (305mm) long and SAMA (Scientific Apparatus Makers Association) approved. Thermometer is filled with environmentally safe and non-hazardous blue-spirit liquid. This thermometer is calibrated for total immersion, serial numbered and comes with a statement of accuracy.